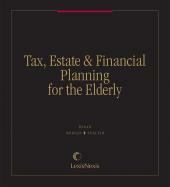 A practice guide for counsel to elderly clients, this publication includes forms, checklists and practice tips for healthcare, retirement, tax and financial decisions. Both volumes contain checklists, practice tips, state specific tables, sample client letters and intake forms to guide you through difficult areas of the law, save you time, and make your practice run smoothly and efficiently. 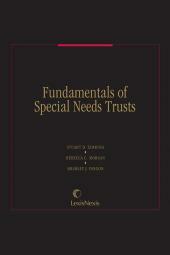 The forms and checklists are cross-referenced to legal analysis in the practice guide. All of the complete forms and individual clauses and checklists found in the print volumes are included on a downloadable zip file. You can use the forms as provided or modify them to meet your specific requirements. First published 1991, updated twice per year. Michael Gilfix is a principal of the law firm of Gilfix & LaPoll Associates in Palo Alto, California. A Fellow of the National Academy of Elder Law Attorneys, he lectures frequently on elder law issues and has written extensively on the subject. 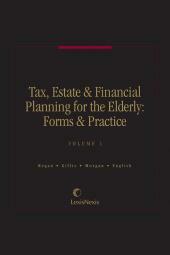 He is a co-author of Matthew Bender's Tax Estate & Financial Planning for the Elderly: Forms & Practice. Mr. Gilfix is Certified by the State Bar of California Board of Legal Specialization as a Specialist in Estate Planning, Trust & Probate Law, is a faculty member of the American Institute for Philanthropic Studies and also serves on the Legal Advisors Committee of Choice in Dying. He received both his A.B. (Phi Beta Kappa) and his J.D. from Stanford University, and is admitted to practice before the courts in the state of California. 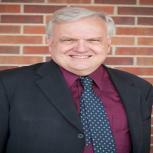 David M. English is the William Franklin Fratcher Missouri Endowed Professor of Law at the University of Missouri-Columbia. Professor English, an expert in the fields of both estate planning and elder law, is a member of the Executive Committee of the ABA Section of Real Property, Probate & Trust Law, an Academic Fellow of the American College of Trust and Estate Counsel, and an elected member of the American Law Institute. 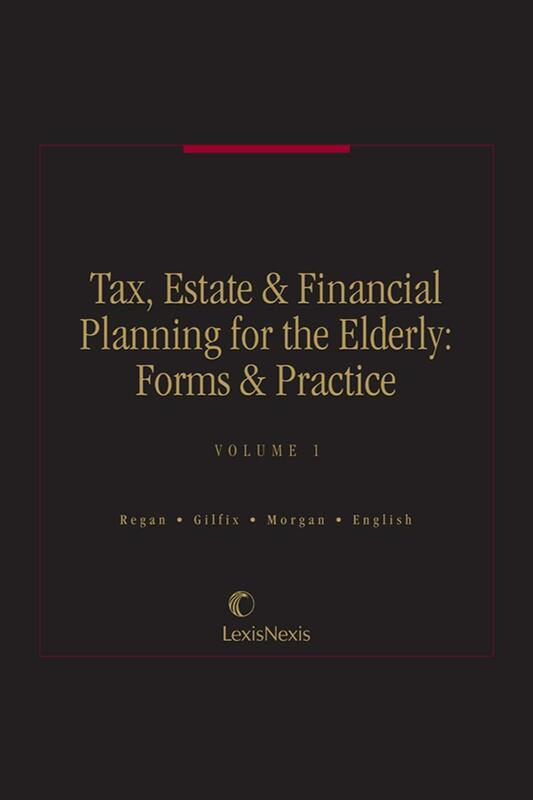 He is a co-author of the LexisNexis companion volumes, Tax, Estate & Financial Planning for the Elderly and Tax, Estate & Financial Planning for the Elderly: Forms & Practice. Professor English has written on a wide range of issues within his areas of expertise, including numerous articles on trust law, guardianship, health-care decision making and long-term care. He served as the Reporter for the Uniform Trust Code and Uniform Health-Care Decision Act, and is currently the Reporter for the Uniform Guardianship Jurisdiction Act and Executive Director of the Joint Editorial Board for Uniform Trusts & Estates Acts. He received his B.A. from Duke University and his J.D. from Northwestern University. Professor Morgan is the Boston Asset Management Faculty Chair in Elder Law and Director of the Center for Excellence in Elder Law at Stetson University College of Law, and is the Director of Stetson's LL.M. in Elder Law. Professor Morgan teaches a variety of elder law and skills courses, and oversees the Elder Law concentration program for JD students. 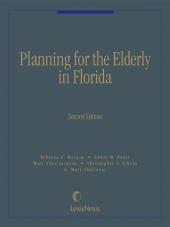 She is a co-author of Tax, Estate & Financial Planning for the Elderly and its companion forms set, Tax, Estate & Financial Planning for the Elderly: Forms & Practice (LexisNexis), and a co-author of Planning for the Elderly in Florida (LexisNexis). She is a Past President of the National Academy of Elder Law Attorneys and Past President of the Board of Directors of the National Senior Citizens Law Center. Professor Morgan is a member of the academic advisory board for the Borchard Foundation Center for Law and Aging, an academic fellow of the American College of Trusts & Estates Counsel, a member of the American Law Institute, and a past chair of the American Association of Law Schools Section on Aging and the Law and of the Florida Bar Elder Law Section. She served as a special advisor to the ABA Commission on Law and Aging, was the reporter for the Uniform Guardianship and Protective Proceedings Act, and was on the Faculty of the National Judicial College. She served on the Florida Attorney General's Task Force on Elder Abuse and the Legislative Guardianship Study Commission. Professor Morgan was the recipient of the 2003 Faculty Award on Professionalism from the Florida Supreme Court Commission on Professionalism. She received the NAELA Unaward in November 2004 for her accomplishments in the field of elder law. Professor Morgan, along with Professor Roberta Flowers, received the 2005 Project Award on Professionalism from the Florida Supreme Court Commission on Professionalism for their video series on ethics in an elder law practice. She is the 2009 recipient of the Treat award for Excellence from the National College of Probate Judges. She has authored a number of articles on a variety of elder law issues and has spoken a number of times on various subjects of elder law. K:12 A Right to "Futile" Medical Treatment? P:2 What Is Elder Abuse, Neglect and Exploitation? R:2 Who is the Client?